Dogs can be affected by a number of skin problems and pug skin care is something that any owner should be aware of. For starters, the skin on their face folds inwards which creates opportunities for fungi and bacteria to grow so frequently cleaning and care of these areas is particularly important. There is also the issue of hypersensitivity in pugs towards certain allergens, and allergies can increase chances of skin irritation and itching. Apart from allergies, fleabites can cause pruritus as well as a severe reaction on the skin. The skin infection called Pyoderma occurs because of pustules that are known to discharge white and thick pus. The skin folds of the pug are infected and can appear to be moist and reddish. There may also be a foul smell. If a pug has Pyoderma, they will likely scratch and lick the areas infected. Mild cases of this disease can be treated with antibiotics. It is important to keep the folds clean using mild soap. If you want to prevent this situation from arising, you should inspect the skin folds of your pug regularly and keep it dry and clean. Not just unique to pug skin care, Ringworm, which is a fungal infection, is also a common skin problem in humans and many other animals including cats. If a pug gets this disease, they are likely to also suffer from scaly skin and hair loss on the infected part. To make things worse, a secondary bacterial infection can also happen on top of this fungal infection. A generalized form of the disease rarely happens to adult pugs with a strong immune system. However, pugs with a weaker immune system can contract this disease. 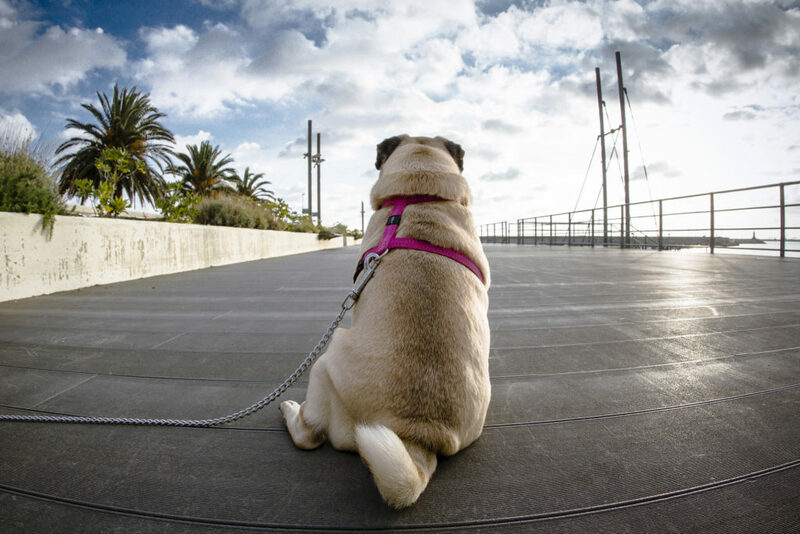 In Atopy, the pug will become hypersensitive to allergens such as dust, pollen, household chemicals, and certain foods. This seasonal condition leads to your pug itching relentlessly on certain areas of its body such as the feet, belly, and the face. This constant itching can lead to biting and scratching that often results in trauma and encourages secondary bacterial infections. Dogs that have Atopy may also have eye and nasal discharges along with bouts of sneezing and digestive issues. Unfortunately, this skin issue can only be controlled and not cured. Ear mites are the most common dog mites. Dogs with ear mites are known to shake their heads and scratch their ears a lot. Mites also easily transfer between different dogs. Ear mites survive best in the ear canals and feed on tissue and their fluids in the ears. Eventually they can spread to the entire body of the dog if not checked properly. Puppies can contract this issue much easily as compared to adult dogs. This is because puppies have a weaker immune system and cannot build their immunity against the various effects of the ear mites. It is important for pug owners to keep track of these diseases in pugs and seek the guidance of their vet immediately if they see any symptoms.